15 Apr What to do If You Fail At IELTS? What to do, if you didn’t get the desired in IELTS? So, you have taken the IELTS exam just recently? Well, how was your experience? What score did you get? Is it the result what you had tried for or is it way less than what you have expected? Well, if you got the desired that you wanted your journey abroad is in the right direction. But, What to Do If You Fail At IELTS? Let me make it clear that there is no PASS or FAIL in IELTS. It’s a score given on a band of 0 to 9. If your desired score is 7 and if you end up with 5.5 or 6 then you could say you failed in IELTS. But, What to Do If You Fail At IELTS? Why do you fail in IELTS? Many fail in IELTS due to common mistakes. The most common mistakes which many of the IELTS test-takers do is that they take the test without any preparation. Many aspirants who feel that their English is right to take the test without preparation, they will find it hard and challenging for themselves at the time of taking the real test and they got very poor results from their test. Well, if you are also familiar with this situation and also have made the same mistakes and now you have got the less score which is not enough for you to clear the test, you will have to start it again from the very basics and focus on preparation. You can re-apply for the test if you have got a low score on your first attempt. Or it would be good for you to focus on preparation. If you are a professional, You may have the issue to give yourself time to sit in an institute for hours only for preparation. So, in that case, You have the option to get enrolled for online training. Yes, this would be the best option because you can get trained in your relevant time without any disturbance to your other works. You just have to choose a time slot when you can give your 100% towards the course and start your preparation. How Can we help you in your IELTS Preparation? IELTS is not just about the assessment of the English language. There is some specific way to get through it. Of course, your language skills are very essential in securing a good band score and get success, but still, it would also be vital that you are very quick at understanding. You should have the skills to choose the right, should have the skills to analyze a right or a wrong answer. You should know how not to become confused at questions which likely to have one straightforward answer but in reality, do not have. Prepare yourself to get rid of this type of confusion which may be an obstacle for you. Only preparation and self-determination will help you get through it thoroughly. You will be able to learn more about it – the difficulties involved, the tricks you can utilize to answer even the most difficult questions, etc. You will become more skilful at choosing the right answers. You will also be able to learn the time management because by taking hundreds of IELTS preparatory tests you will learn to divide the time and do well on the test. For all the things mentioned above, we have the IELTS Video Course that will help you with the score that you want. The best advantage of enrolling for the IELTS Video Course is that you can watch the videos in the time that is convenient for you. You don’t have to go anywhere travelling, wasting your precious time. Sit in your room and get the direct online lesson from the tutor. You will get all type of support you need from the tutor regarding your modules. You can ask any question and get the answers. You can continue practising as long as you want by selecting a particular type of lesson that suits your best. 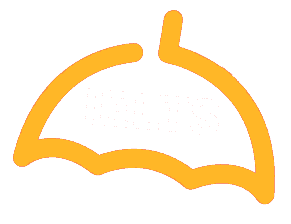 How to crack IELTS with good bandwidth, How to get 7+ score in IELTS, How to improve IELTS score, how to overcome with IELTS test, Things to do to crack IELTS, What to do If You Fail At IELTS?